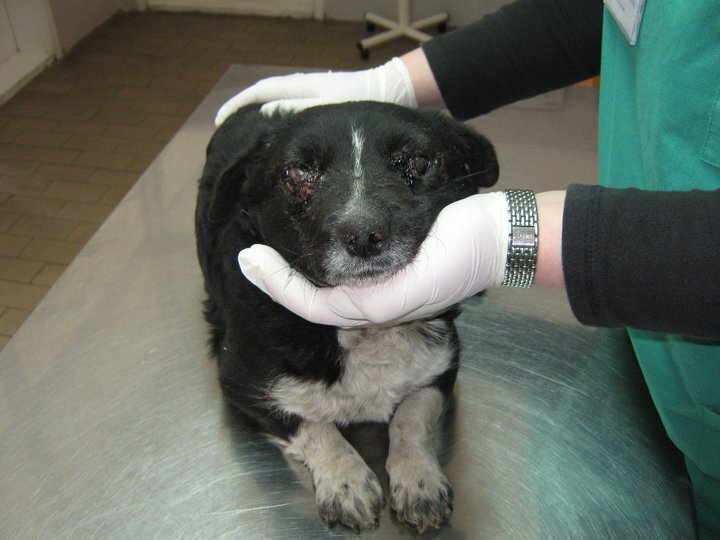 Serbia: International Appeal to Find New, Forever Home For Blind Dog ‘Okica’. Tasha M. Sipka last update 29.03., Dr med vet Dragan Pudja:”Okica is great, eat, and of course walk around without help, slowly but surely!! It appears his cuddly barking! Wonderful! Greetings from us and Okica.” The vet Pudja with a big heart and his staff painted the most beautiful colors Okica’s world. PS: “okica” in Serbian means someone with a beautiful eyes… Now look at her eyes..
Okica was lucky that the accident was taken under the protection of my friend Snezana, a professor at the Veterinary Faculty in Bgd, she asked her former student veterinarians Pudja to take care of, he was operated on, wept over her sad destiny and decided to keep with you the outpatient clinic in Backa Palanka and personal care of her until she will be OK. All went well, it feels good, is recovering, but to us is hard work, to find her a good home and someone who will love it though totally blind and take care of her, and collect money and takes up the wonderful vets for their sacrifice. Injuries he received Okica her intentionally inflicted, not due to hit by a car. Yes, we need just home for this angel Okica, all cost about treatment we will pay, it’s not problem. Okica is good, responds when called. Good recovering. 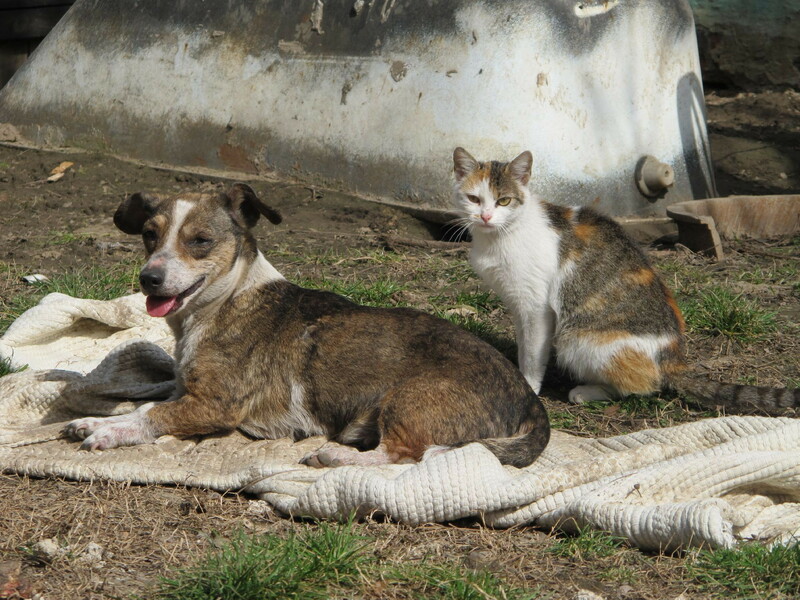 Romania: Urgent Poll To Save Romanian Strays From Death – Please Vote Right NOW; Time is Short – Vote ‘NU’ Via the Poll Link Below. A clear message needs to be sent to the Romanian government NOW — The mass killing of stray dogs is not acceptable. Please click on the link below to get access to the current poll – then scroll down and click on ‘NU’ (No). Please crosspost to the moon and back – time is short and we need to get as big a mmajority as possible. We’ve blocked the Romanian Government by our different actions until now (writing to all the members of the European Parliament again, to the Romanian Government, to many journalists, to the President of the French Republic and to the Ambassor of Romania in France, I wrote for my friends the last 2 letters in French so they can send them) and they know the world is watching them so they don’t know how to do to kill their dogs with a good reason. So this coward Government make today a referendum in Romania on a website, happily Ioana sent me the link and it’s very quick and easy to vote but it’s so important and so urgent, no time to waste. You will find the link below and her message. “All my friends, please vote no… NU! And please forward my link. 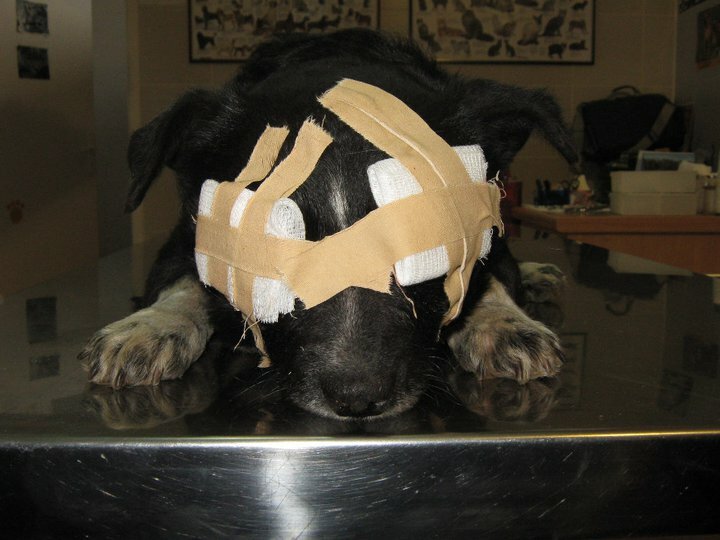 They want to kill dogs in Romania…again! ESTI DE ACORD?, meaning.. DO YOU AGREE ? Please give a chance to life. Can you vote please, the NO is just a little bit ahead before the YES. Can you forward to a maximum of people who can help by voting. Watching the tragedy unfold in Japan this week has been absolutely devastating and many of us may feel helpless as we sit in the comfort of our homes as tsunami victims are dealing with unimaginable challenges. 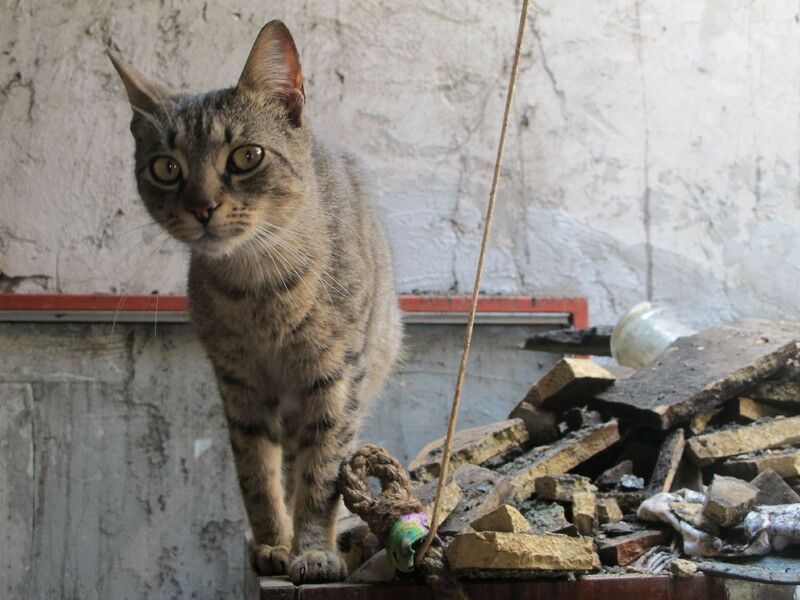 While the focus in Japan is on helping people affected by the divesting earthquake and Tsunami, many people are also concerned about animals affected by the disaster. Here are six ways you can help, courtesy of The Pet Dish. 1) Donate to Japan Earthquake Animal Rescue and Support. 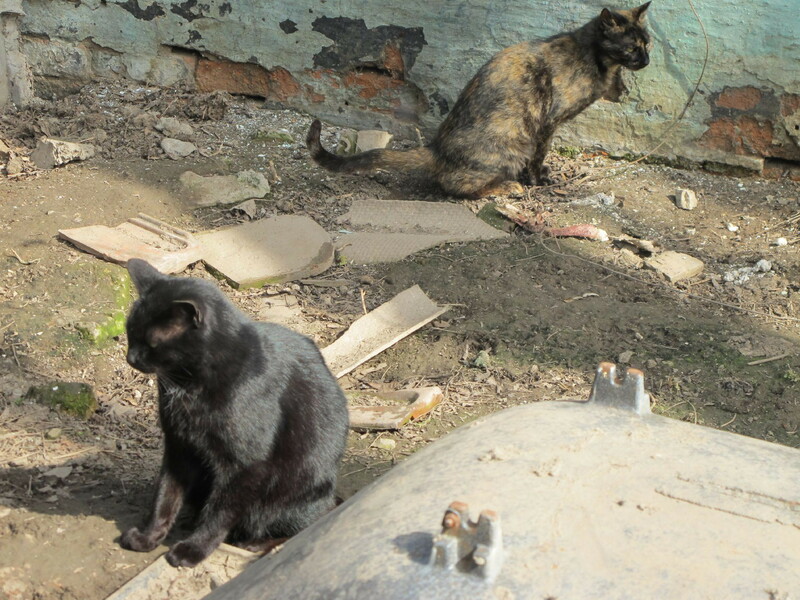 A coalition of three groups – HEART-Tokushima, Animal Garden Niigata and Japan Cat Network, their intention is to keep animal rescue on the agenda, provide shelter space and coordinate some earthquake/tsunami animal rescues. 2) Animal Refuge Kansai is also accepting donations. The organization says they have facilities in place and a team of experienced staff able to deal with traumatized animals. 3) The Search Dog Foundation has deployed teams to Japan to help search for victims. 4) Donate to Humane Society International. 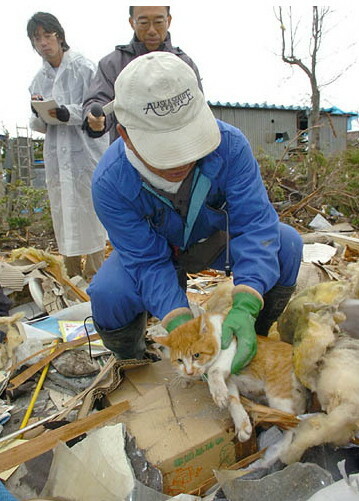 They have deployed disaster response staff to the region and reached out to Japanese partner organizations involved with animal care and rescue to identify where and how best to provide emergency support and veterinary attention. 5) World Vets are preparing the deployment of a first-responder team to carry out an “on the ground” assessment and provide initial aid. 6) Join the Japan Earthquake Animal Rescue and Support Facebook page to support animal rescue efforts. 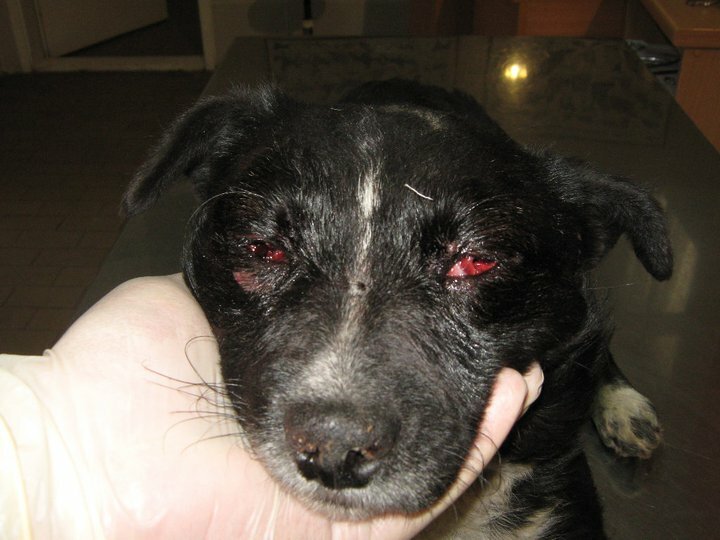 Romania: Bucharest Now Stockpiles Over 77 Lires of Euthanyl – Enough to Kill 38,625 Street Dogs. 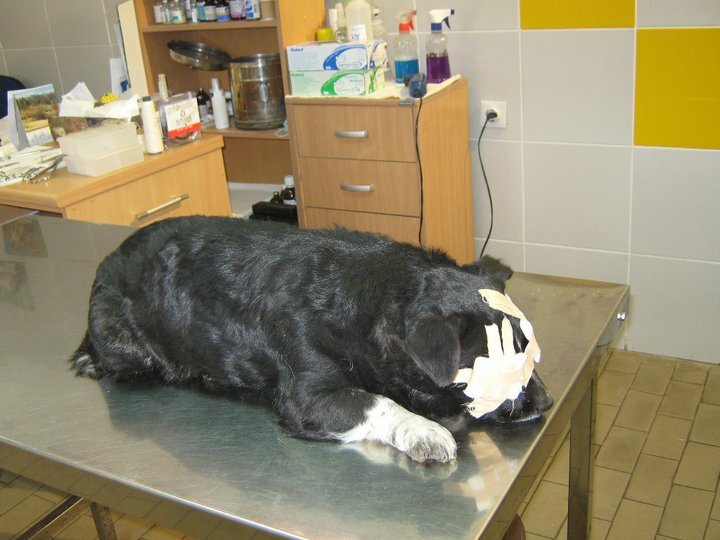 According to Bucharest newspaper Ring, the administration for dog management (ASPA) in Bucharest has stocked the substance Euthanyl, used for euthanasia, and the quantity available now is enough for killing more than 38600 dogs. ASPA has in stock 309 units of Euthanyl, equivalent to 77250 ml (more than 77 litres!). With 2 ml an average sized dog can be euthanized, so this stock is enough for killing 38,625 dogs in Bucharest. The prefect of Bucharest, Mihai Atanasoaie initiated the law that allows the euthanasia of street dogs, project rejected by the deputies. 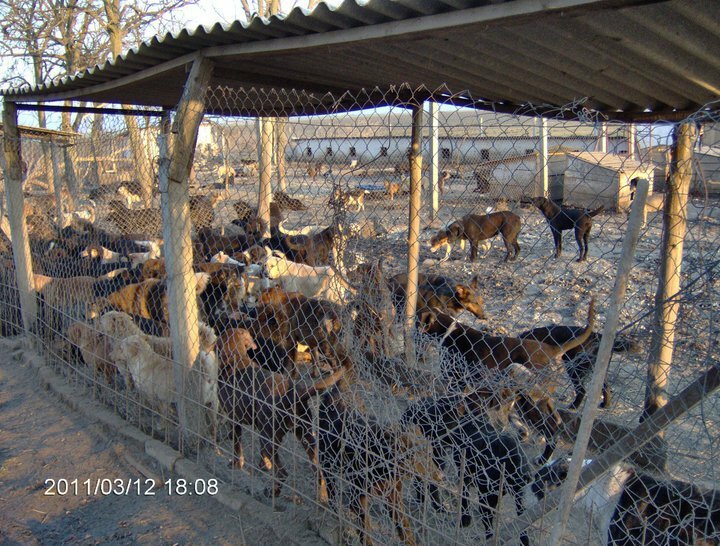 The liberal-democrat (PDL) councillors of Bucharest General Council significantly reduced the budget for ASPA, making impossible the project of building a 20000 dogs shelter at Fundulea. The budget for street dogs has been reduced by 70%, from 17.2 million to 4.2 million lei. The European Parliament recommended that such a law (mass killing of dogs) is not in line with the European legislation. The Romanian government (PDL) is working now on a gov’t ordinance to rule the euthanasia within 7 days. Germany: ‘Knut’ the Young Polar Bear Dies at the Weeknd – A Life of Misery at Berlin Zoo. RIP Knut; Now Reunited With Thomas. Last weekend saw the early death of Knut – the little Polar bear who lived at Berlin Zoo. The following post outlines much of Knuts troubled life; a life of making money for a zoo and a director still in charge who has allegedly killed animals using his own bare hands – see further on. Knut probably lost all love of life after the untimely death of his keeper Thomas, who in the end was not even allowed to go near Knut. This situation obviously took its toll on both of them in such a huge way. Thomas and Knut are together again somewhere now – which is without doubt the best thing. As for the zoo and its animal killing director; he continues to try and make money from Knut by having him skinned and stuffed. If you wish to leave a message of condolence for Knut (and Thomas) afeter reding the articles below, then please do so. The link is as follows. But please note that the zoo appears to be monitoring and censoring all bad comments on its site. Maybe the zoo director does not like hearing the truth and what so many people have to say about himm. We say that it is time for him to go – to take a walk of shame. He is no good and is directly responsible for the death of Knut. This is the 3rd time we have signed this book. We miss you so much, but we know you are in a happier place now with Thomas and my own dear father who passed away 4 years ago. The sun is shining very brightly in London today – the reason? You have graced Heaven with your presence! We will love and remember you always. Latest news is that his body has already been skinned – the skin meant for stuffing – and the rest has been disposed of in the direction of an animal body rendering plant. With this, the Zoo goes against the wishes of all who cared about Knut, who has suffered enough by the incompetent treatment and keeping at Berlin Zoo. Responsibles at the zoo see no fault of their own in Knut’s death, although expert opinions clearly say otherwise, and have done so for over a year. Comments left on the condolence page of the Berlin Zoo are now heavily censored, as more and more people come forward and critisise the Zoo for its conduct. Knut’s close relationship with Humans, the loss of his foster father 2008, then that of his girlfriend Gianna (after 10 months) 2010, the constant bullying that he could not escape by 3 much older female bears all contributed to his early death. The brain condition that killed him may well have been the result of near constant stress. It was all about the money in Berlin, and Knut was abused all his life, neglected after Doerflein’s death, and now will end catching dust in a museum, where people will continue to gloat at him for ever. Zoo director Blaszkiewitz has been in the news for years with recurring accusations (by PETA) of flogging Zoo animals off cheaply to traders, butchers and labs. He is also known to have killed surplus cubs of a rare cat species with his bare hands once. He is not someone who can be trusted around animals, and he keeps repeating his opinion these days that as a “scientist” he needed to view events such as this dispassionately. An animal was an animal, not a Human. Knut, for him, was a means to an end (money), and he was dispensable the moment he stopped earning them millions. Farewell, Knut and Thomas – together again. Knut, Berlin’s world-famous polar bear who died on Saturday, was a product of the age of celebrity. But it wasn’t just his stranger-than-fiction story that made him unique — this bear had charisma, and will be very sorely missed. Berlin has lost an icon, and should erect a monument in his memory. Fairytales aren’t meant to end like this. Knut, the polar bear who gave so many people so much joy, deserved a happy-ever-after. He has been deprived of it, and millions of people around the world are feeling the loss after his untimely death on Saturday, at just four years and three months. 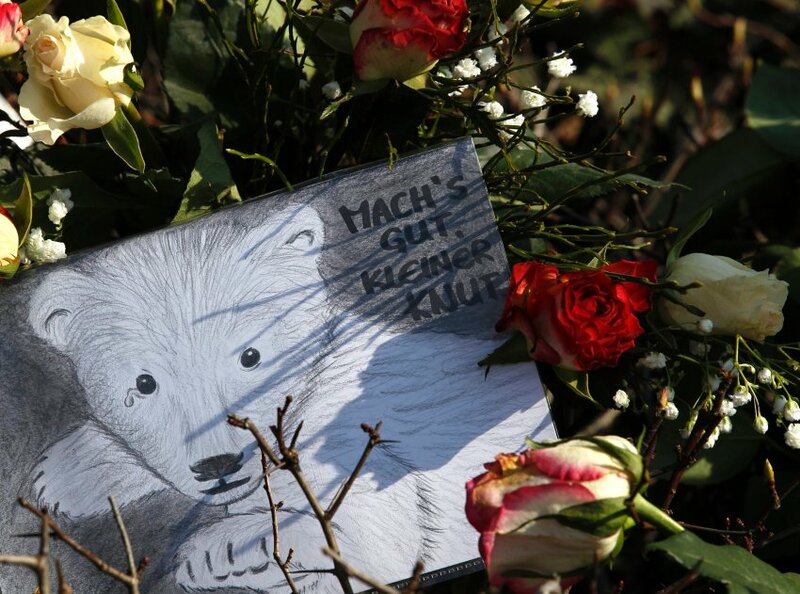 On Sunday, hundreds of people gathered at Berlin Zoo to lay down flowers and leave messages. “Thanks for all the happy memories,” “Bye Knut,” “We loved you so much.” Many were in tears. “He was like our child. We watched him grow up,” said one elderly lady, with tears running down her face. People spent a long time gazing at his empty enclosure. The sunshine brought no comfort. The scene was all the more poignant because it was almost exactly four years ago, on March 23, 2007, a similarly sunny spring day, that Knut toddled happily onto the world stage and into people’s hearts when he made his first public appearance at Berlin Zoo. It was a global news event. International broadcasters provided live coverage, satellite trucks were parked in front of a startled rhinoceros and hundreds of photographers and journalists jostled to catch a glimpse of him. There he was, flanked by the German environment minister at the time, Sigmar Gabriel, and Thomas Dörflein, his devoted keeper. Within seconds, the snow-white ball of fur with black button eyes, playful and mischievous, had gained a fan club that stretched from Berlin to Sydney. What was all the fuss about? Knut may have been the first polar bear born in Berlin Zoo for over three decades, but new births of the species in captivity weren’t uncommon around the world. There can be no denying that the media turned him into a star. He was a product of the cult of celebrity, and he sold newspapers. SPIEGEL ONLINE was among the news sites that gave him blanket coverage, because so many people would read the stories. The Berlin Zoo, initially reluctantly, went along with the hype in order to make money, but also because it had little choice. That, however, is only part of the story. Knut was a special bear because he had real character. That spring and summer of 2007, he entertained as many as 15,000 visitors a day by biting Dörflein’s backside, hiding under a green blanket and chasing after a ball. Later on, as he grew, he would stand on his hind legs with his front paws up, seemingly waving to visitors. He would even play with them, grabbing his ball with his snout and tossing it over the moat for them to throw back. He would lay on a veritable Knut Show. It may seem banal, but he had a very friendly face, far too friendly for the lethal predator he was supposed to be. That was the essence of his charm. Had he been put out into the wild, one could imagine him spending his time sitting on an ice floe, waving at the seals and waiting for a trawler to come by to throw him some croissants — his favourite food — and a football. Animal rights campaigners claim that his almost-human behaviour was part of a disorder caused by hand-rearing, and by his strange life in the public eye, facing flashguns and constant shouts of “Knuuuut” from adoring fans. That may be so. But life tells strange stories, and Knut’s had a tragic inevitability. Had the Berlin Zoo not raised him in an incubator and hand-reared him after his mother Tosca rejected him, he would have died. And, let’s face it, he was unfeasibly cute even by polar bear cub standards. If he hadn’t been, Berlin tabloids wouldn’t have got the celebrity circus going by publishing photos of him. The pictures showing him chewing on a toilet brush, sleeping in his box with his cuddly toys, lying on his back with his paws in the air or standing up with his little tongue hanging out and holding onto the hands of Dörflein, his devoted surrogate parent and friend, were irresistible. When a wildlife expert demanded he be put down to spare him the behavioural problems he would suffer from hand-rearing, the public uproar was predictable, and the bear came a decisive step closer to superstardom. Kill cute Knut? Murder this furry little ball of fun? Are you nuts? Although the call had never been taken seriously, the stories got international attention. By the time Knut was presented to the public, his celebrity was already feeding on itself, and a roller-coaster life of glamour and fame beckoned for the unsuspecting cub. He soon featured on the cover of Vanity Fair magazine with Leonardo di Caprio, and spawned a range of merchandise ranging from cuddly toys to marshmallows and expensive porcelain figurines. Berlin Zoo even had to hire security guards to help organize the crowds. Knut’s relationship with Dörflein, his bearded, bear-like keeper, who slept on a mattress next to his charge, bottle-fed him a special porridge, burped him, rubbed baby oil into his fur and patiently played with him, was highly entertaining and delighted the crowds. All that summer, Knut made people forget their troubles. This was a sunny fairy tale. The spectacle of man and beast interacting so happily satisfied people’s desire for harmony. Maybe it was an illusion, but it looked real enough. He became an icon of the city. Seeing Knut became part of every tourist’s itinerary, up there with visiting the Brandenburg Gate. Millions came to visit him. But fate started to catch up with him. His cuteness wore off as he mutated into a chubby bruiser. Dörflein got strict instructions from the zoo management not to go near him any more. Visitor numbers dwindled. Knut started to look lonely in his enclosure. But his diehard fans, many of them middle-aged women who visited him almost daily, remained loyal. And the zoo continued to give him birthday cakes — fish and vegetables frozen in ice — every December 5. In September 2008, when Dörflein died suddenly of a heart attack, the story of Knut took its first tragic turn. Would he cope with the loss of his friend? Was Knut’s life blighted? Would he come to a sticky end himself, like so many child stars who can’t cope with their fame in later life? Attempts to get him to make friends with a female polar bear, Gianna, who joined him in his enclosure for a few months, met with mixed success. She would swipe his snout and steal his food, but they seemed to get on all right by the time she returned to her zoo in Munich. In 2009, Knut fans in Berlin mounted a successful campaign to force the zoo to abandon a plan to move Knut to another zoo. Then in 2010, he was moved to a bigger enclosure with three older female polar bears, including his mother Tosca. Knut’s fans said he couldn’t cope with the bullying that ensued. The cause of his death has not been established yet, but animal experts and fans say it could have been an epileptic fit brought on by stress. 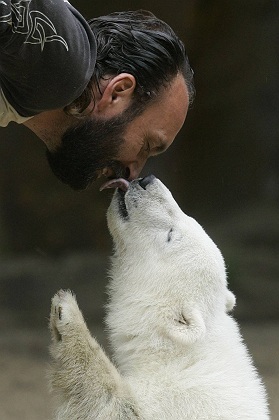 Berlin Zoo, understandably, had tried in recent years to treat Knut like any other polar bear. But the strange circumstances of his life had made him unique. That contradiction may have — inevitably — contributed to his early death. What remains? Berlin Zoo has said it may have Knut stuffed, but his supporters find that idea unbearable. There has never been an animal burial at Berlin Zoo, and simply incinerating him like any other animal would seem deeply inappropriate given what Knut has done for the zoo, for Berlin and for raising the awareness of the plight of polar bears in the face of global warning. Whatever happens to Knut’s remains, the city should put up a monument in his honour, large and prominent, to remind visitors for decades to come of the bittersweet tale of an innocent bear who enchanted millions. The tragic death of Knut, the world-famous polar bear, may have been caused by brain problems, the Berlin Zoo said on Tuesday following the release of preliminary findings of his autopsy. The zoo plans to erect a memorial in his honor. 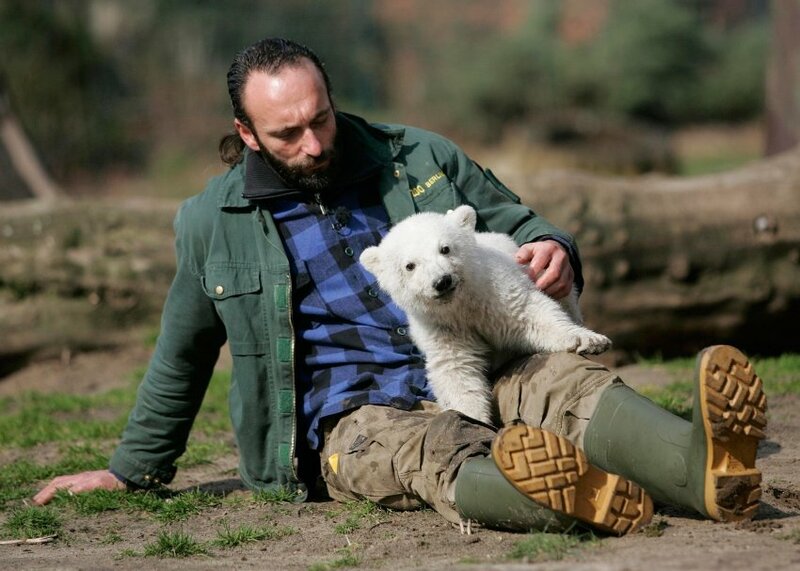 The sudden death of Knut, the celebrity polar bear, may have been caused by a brain disease, the Berlin Zoo said on Tuesday following an autopsy. Berlin’s Leibniz Institute for Zoo and Wildlife Research will take several more days to complete bacteriological and organ tissue tests, the zoo said. No further details were immediaterly available. Knut had collapsed on Saturday afternoon after suffering what eyewitnesses said appeared to be an epileptic fit. He fell off a rock into the moat surrounding his enclosure and drowned before zookeepers could reach him. Hundreds of visitors witnessed the tragic spectacle. The polar bear was hand-reared at the Berlin Zoo after his mother rejected him shortly after his birth on Dec. 5, 2006. Fans around the world are mourning his death. Zoo director Bernhard Blaszkiewitz has denied accusations by animal welfare organizations that Knut died of stress caused by being forced to share his enclosure with three other polar bears. Knut fans say he was often bullied by the older females, including his mother Tosca. The president of the German Animal Welfare Federation, Wolfgang Apel, said the zoo had been too eager to get Knut to mate with the females. Having to share enclosures was “pure stress” for polar bears, which are accustomed to living alone in the wild. Berlin Zoo will erect a monument in Knut’s honor, said Thomas Ziolko, the chairman of the Friends of the Berlin Zoo. “Knut will live on in the hearts of many visitors, but it’s important to create a memorial for coming generations to preserve the memory of this unique animal personality,” he said. The sculpture will be financed through donations. Blaszkiewitz said on Tuesday that the sculpture might depict Knut in his heyday — as the polar bear cub who enchanted so many people. Knut may also be stuffed and put on display in a Berlin museum. 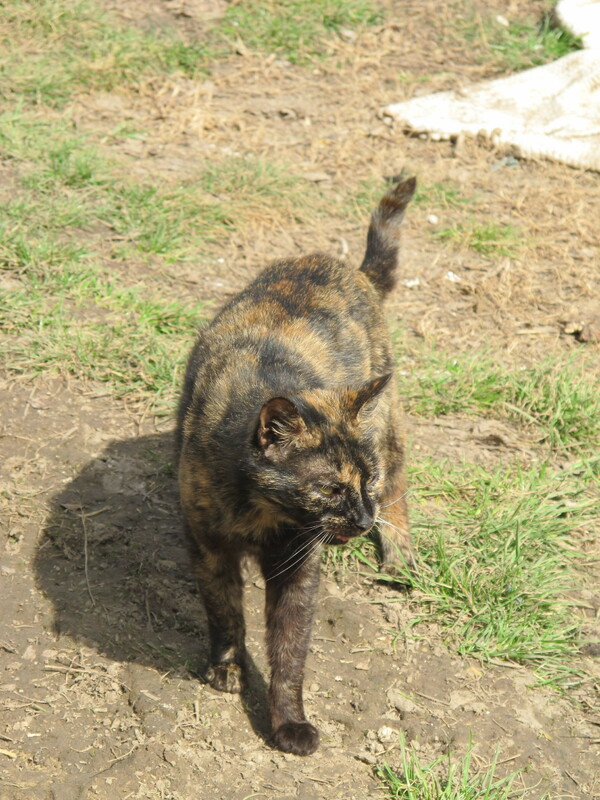 We send our regards to vet inspector which turned up this time and left us on our own to do all the work, with a request to inform him about our progress. All in all, very sad day, and to go and to leave them all on their own in the dark was hearth breaking. 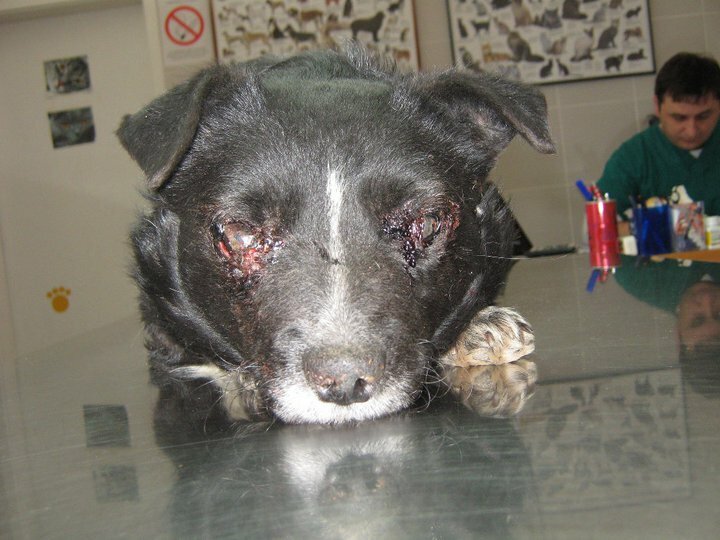 Serbia: ‘Help Animals’ – Belgrade. Can You Help Them ? 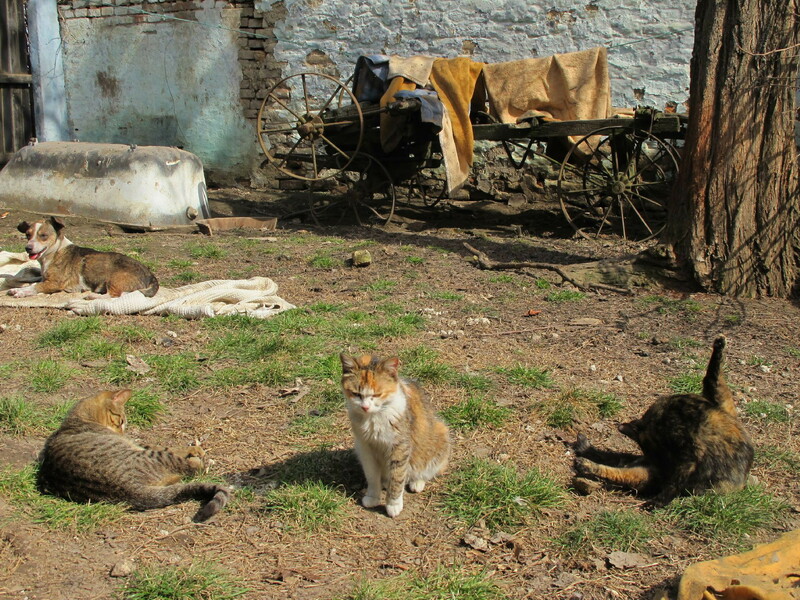 we are the members of “Help Animals” Association from Belgrade, in Serbia. First of all, we have to point out that we are dedicated to help all kind of animals where ever we can! Because of big problem with abandoned dogs and cats in Belgrade, right now we are spending almost all our time helping them. 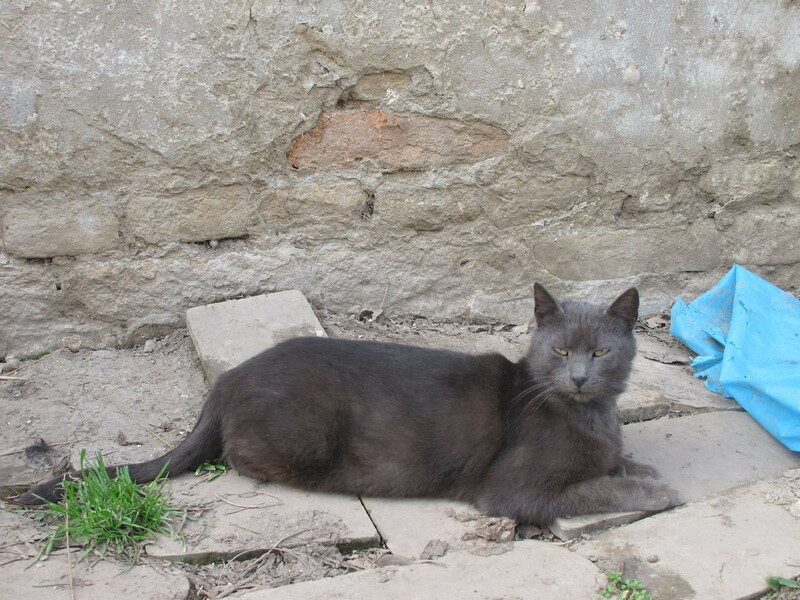 We are running two legal Shelters – for dogs “Riska” and cats “Jessica”. Please read the stories about them. Unfortunately, at this moment we are in very bad economical situation, because we are non-profit organization and the donations we have are far from enough. We need all help you can provide, if you like. Please read about that in: “How to help”. Thank you very much, for everything you do for animals, worldwide. 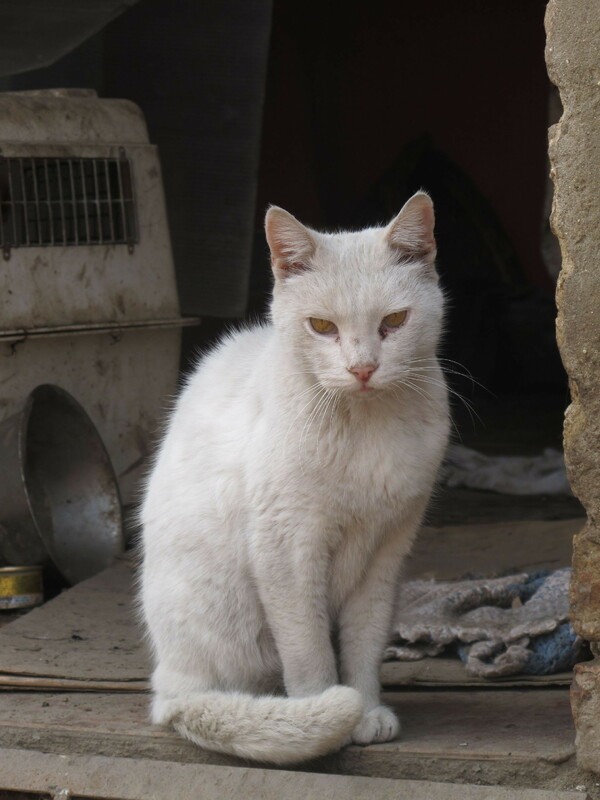 Association for providing aid to abandoned animals “Help Animals” was founded on October 8th 1992. in Belgrade, under reg.no. : 357/212-1-207/92, as a non-governmental and non-profit association of citizens for the Republic of Serbia. The first our shelter was located at No.50 Ovčanski put Street, and our main activity, from 1992. until spring of 1999. was taking care of the dogs in the shelter. By financial means from a donation received from Germany in 1998. the Association bought much bigger plot of land in place Batajnica, a suburb of Belgrade and opened a new shelter there. 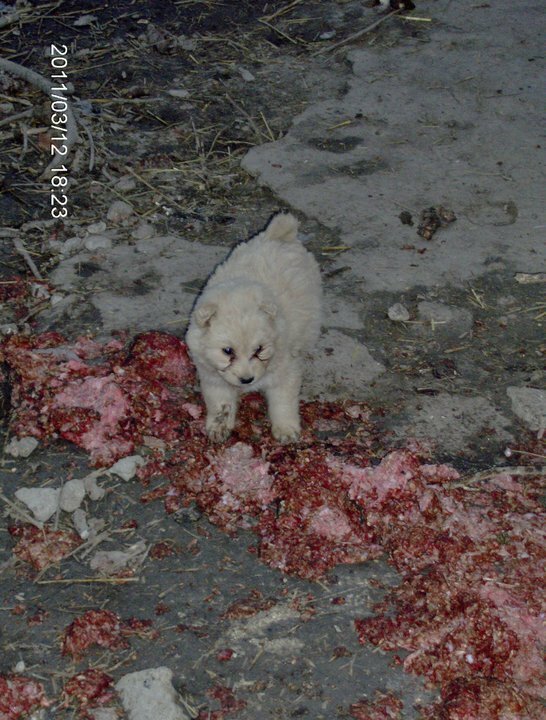 Unluckily for these 70 dogs, residents of the shelter, bombing of Yugoslavia started in March 1999.,whereas Batajnica turned out to be one of the main target areas. Luckily, members of the Association managed to save all the dogs, but unfortunately the Association suspended all its activities. 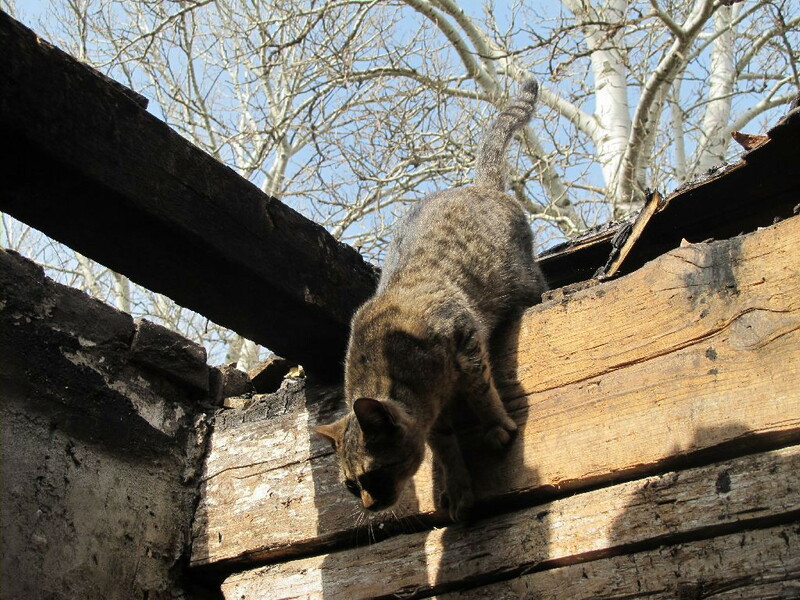 Intensive activities were again continued in June 2000. when members of “Help animals” saved 430 dogs and 16 cats from Sheltes on hill Avala near the Belgrade. 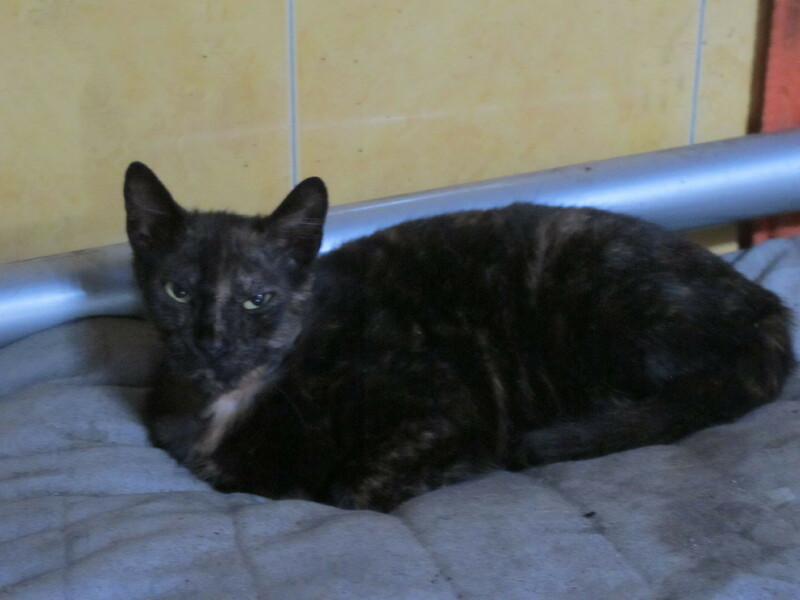 If you want to find out more, please read about it at Shelter “Riska”, and also at Shelter “Jessica”. Postovani ljubitelji macaka, sve ves na kolenimo molimo da zajednicki pomognemo macakama koje su ostale u ,nazovi, azilu Backa Toplola vlasnistvo pokojne Etele Merk. I psi i macke u tom azilu su u jako losem stanju. Na zalost macaka , vecina ljubitelja zivotinja i Drustava za zastitu zivotinja se angazovala oko pasa.To je i u redu jer ima oko 250 pasa a macaka je ostalo oko 15-25 (ne mogu se izbrojati jer se nalaze na otvorenom prostoru). Predpostavlja se da je macaka bilo oko 60 i da je najmanje 35-40 izgorelo u pozaru. U pozaru nije stradao ni jedan pas. Bas zbog tako strasnog stradanja, tako strasne smrti i jako loseg zivota u azilu ostatak macaka je zasluzio da im nadjemo neki smestaj. Zasluzili su i zbog toga, a to se odnosi i na pse, sto su gradjani Srbije, prvenstveno gradjani Beograda nemilice nosili pse i macke u taj azil i ostavljali ih Eteli Merk da se potpuno sama o njima brine. Na samim slikama mozete videti i uslove za zivot tih nesrecnih pasa i macaka. Mi necemo ulaziti sad u razloga postojanja takvih azila u Srbiji (90% su na zalost takvi) vec apelujemo na savest ljubitelja macaka da po jednu macku spasu. Mi cemo organizovati transport, nakon izvesnog vremena sterlizacije i sa svima koji budu preuzeli macku bicemo u redovnom kontaktu za bilo koju vrstu pomoci koju, u granicama nasih mogucnosti, mozemo pruziti. Mi ne mozemo ici po svaku macku posebno vec cemo cekati da se nadje nekoliko novih vlasnika pa da ih zajedno dovezemo. Na sebe preuzimamo i obavezu da Vam macku do kuce dovezemo. Koliko smo mi na osnovu slika videli najugrozeniji je Beli macaka Andjeo koji je vidno u losem stanju. Jos uvek nisu sve macke slikane i nadamo se da cemo dobiti jos slika ali kada su ovakve tragedije u pitanju ne treba po slici birati macku vec samo doneti odluku koliki broj macaka zelite spasiti. Tragediju uvecava i cinjenica da se uslovi za boravak ostatka macaka u azilu Backa Topola nece poboljsati niti se tako nesto planira. Kuca u kojoj su macke spavale je izgorela a drugog objekta nema. Mi smo, pored nasih 118 macaka vec preuzeli 4 macke i bukvalno nemamo gde vise niti jednu macku smestiti. NA KOLENIMA VAS MOLIMO DA SE SVI ZAJEDNO SMILUJEMO OVIM NAMUCENIM BICIMA I ODREKNEMO SE PROMILA OD PROMILA SVOG ZIVOTA ZA OSTATAK NJIHOVOG ZIVOTA.